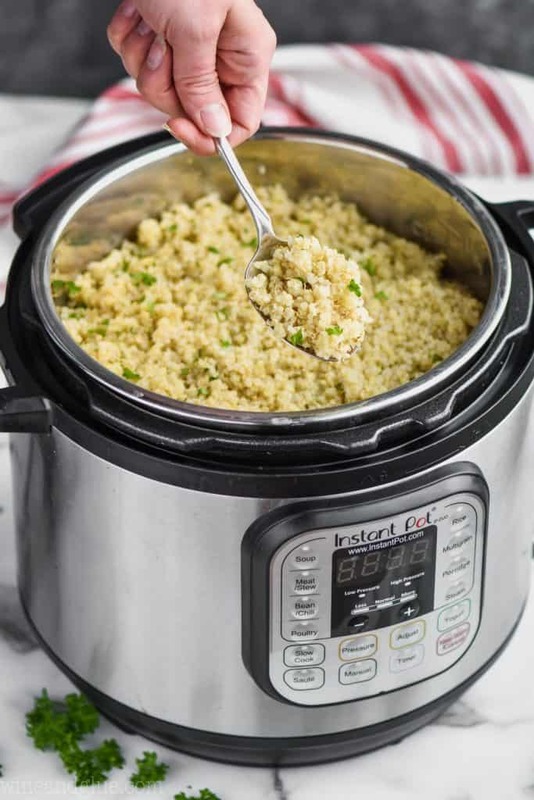 This Instant Pot Quinoa is the perfect easy way to cook quinoa. 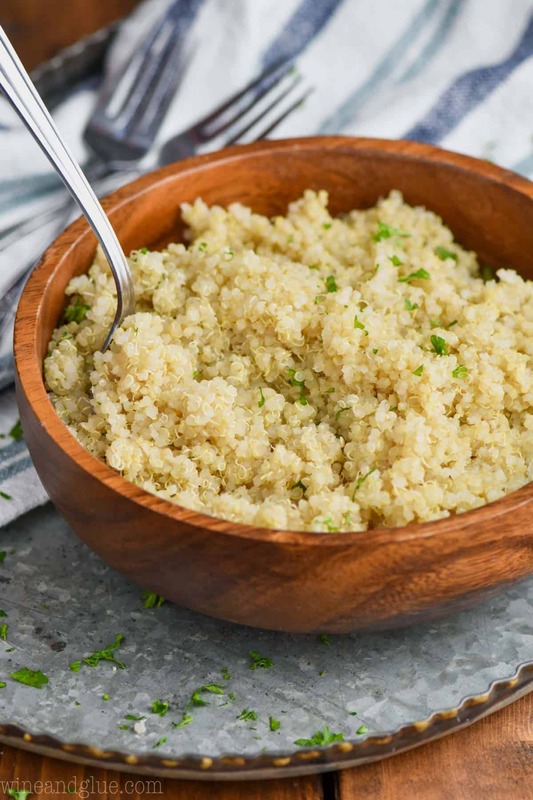 If you need a great easy start to quinoa recipes, then this is the recipe for you! 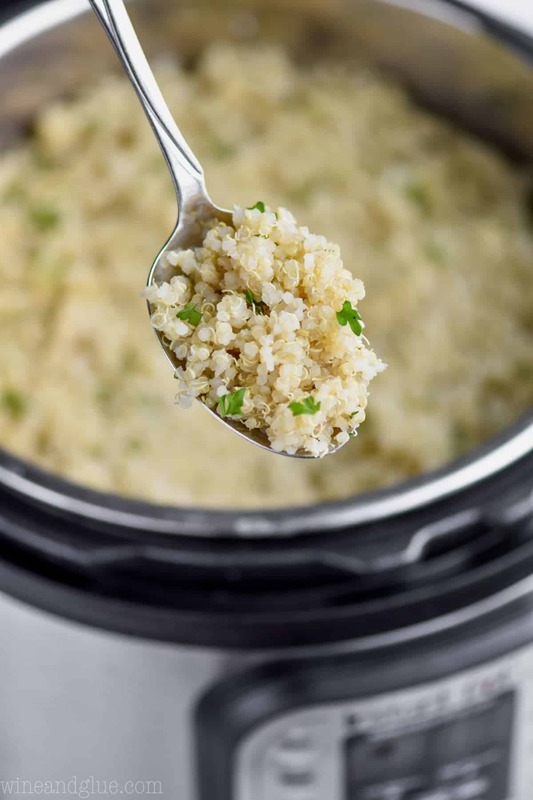 With just a few minutes of hands on time you have delicious perfectly cooked quinoa. So I’m hunkering down, looking for things to keep the kids busy. Making sure they don’t get buried in snow, and planning great recipes to share with you. One of those great recipes is this recipe that isn’t a recipe. It’s how to make quinoa in the instant pot! Quinoa has become a staple in my life in the last few years. It’s so good for you, filling, and a great addition to so many different recipes. 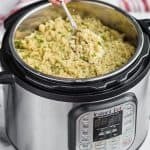 The instant pot has become my absolute favorite way to make it because it’s a set it and move on situation and it comes out perfect every time. I love that quinoa is considered a super grain. Actually, it is a gluten free seed. One of the best benefits of quinoa is it’s protein content. 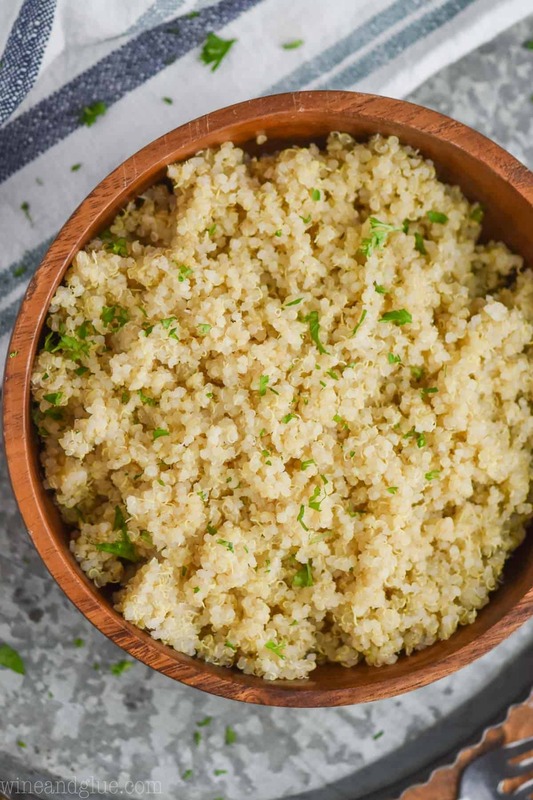 It acts like a carbohydrate in recipes (like in this Cilantro Lime Quinoa), but 1/4 cup of dry quinoa is 6 grams of protein. Gotta love those proteins that keep you fuller longer! It also has all 20 amino acids, making it a complete protein. Rinse your quinoa. This is a step you really don’t want to skip. It eliminates a bitter taste from the quinoa. Add double the water as your amount of quinoa. You can cook as little as 1/2 cup quinoa with 1 cup of water. 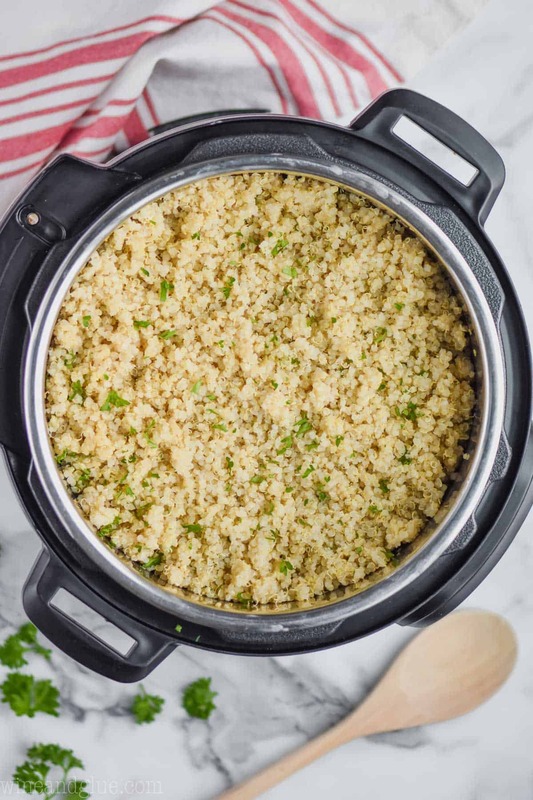 With your water and your quinoa in the instant pot, seal it. Make sure that the pressure release valve is set to sealing. Hit the “Rice” setting. Your Instant Pot will read “12” and then will beep loudly as it turns on. For 1 cup of quinoa and 2 cups of water it will take about 6 minutes to come to full pressure. Then it will count down the 12 minutes. At the end of the 12 minutes, it will beep that it is done. Allow the float valve to fall on it’s own. If it hasn’t fallen after 10 minutes, turn the pressure release valve to venting. Take off the lid and enjoy your Instant Pot Quinoa! CAN I COOK MORE QUINOA THAN 1 CUP? Yes! Just make sure to double the water. 2 cups of quinoa would be 4 cups of water. It will take longer for it to pressurize, but it should still cook beautifully. MY QUINOA CAME OUT MUSHY, WHAT DID I DO WRONG? Ahhh, you probably left it in there too long. You are doing a natural pressure release. In other words you are waiting for the float valve to drop on it’s own. But you really want to make sure that once it drops (or after 10 minutes from the pot beeping that it is done) you open up the instant pot. Otherwise you could end up with mushy quinoa. The other issue is that you need to really make sure that you do 1 cup of quinoa to 2 cups of water. In most of my non baking recipes, like my Sausage and Kale Soup, you can be loosey goosey with measurements. 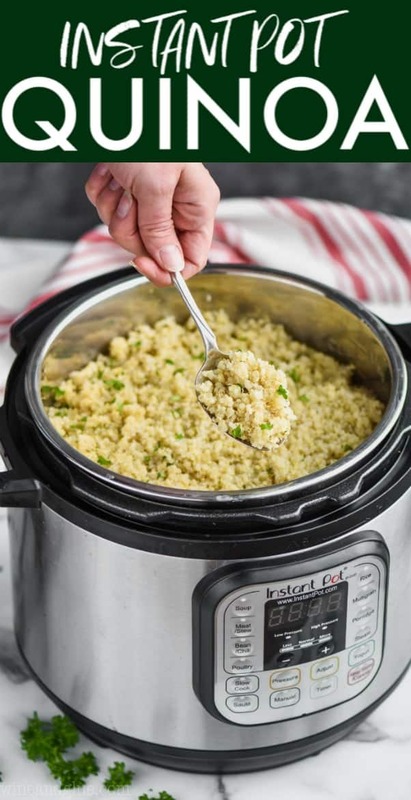 Don’t do that with this Instant Pot Quinoa. Be as precise as you can. 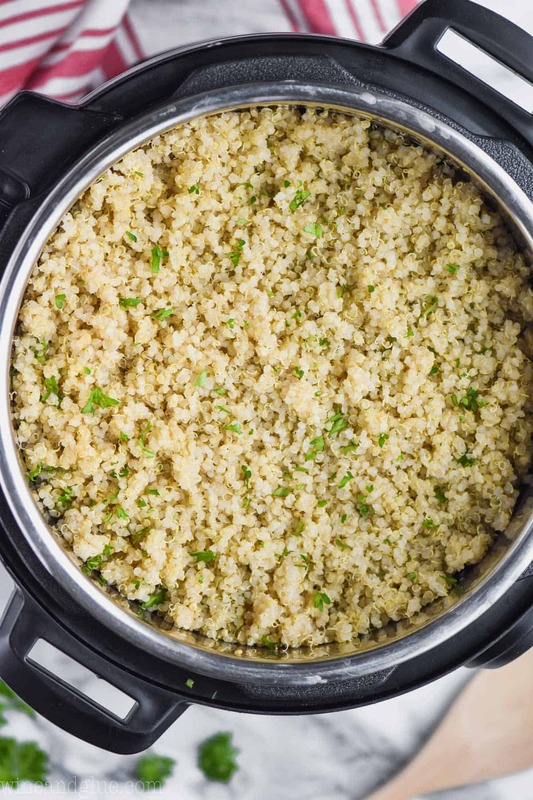 Put your rinsed quinoa in the instant pot. Close the Instant Pot and make sure the pressure release valve (the black knob on the top of your instant pot with words near it that say "sealing" and "venting") is set to sealing. 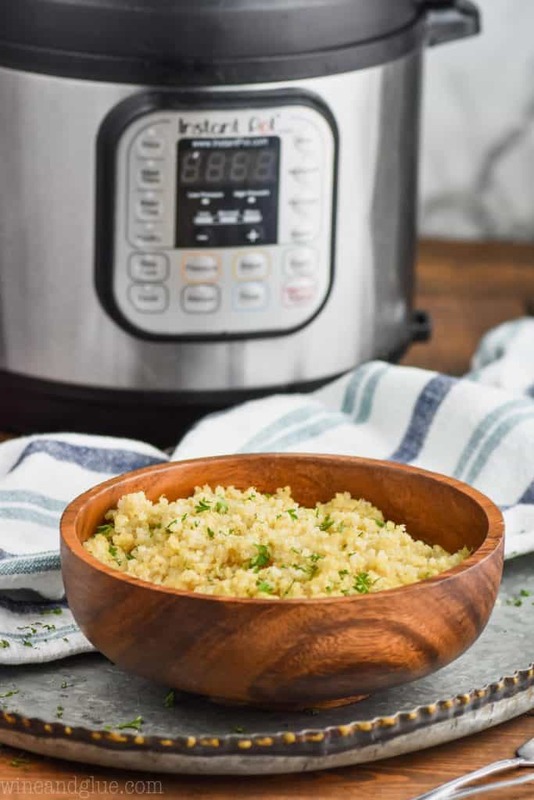 Set your Instant Pot to "Rice." Your Instant Pot will do nothing at first, then it will beep loudly and say "On." Your Instant Pot will take about six minutes to come to pressure. Then it will start counting down the 12 minutes. At the end of the 12 minutes it will beep. Using a natural pressure release, allow the float valve to drop before opening the Instant Pot, about 6 minutes. Open your Instant Pot and enjoy!